Please do NOT call us if you need to speak to Amazon or need their phone numbers. We are not Amazon. This is a news article for informational purposes only. This is an article that documents the Amazon global fulfillment center network. MWPVL International does not represent Amazon in any way and this article is only for informational purposes. It all started in the July, 1994 when former investment banker Jeff Bezos left New York City for Seattle to launch a new on-line book store. Amazon.com took shape over the next 12 months and the company's web storefront recorded its first sale in July, 1995. By year-end 1996, Amazon.com had generated $15.7 Million in sales. On May 15, 1997 Amazon.com raised $54 Million of capital with an IPO on the NASDAQ (AMZN). The company grew at an astonishing pace with sales reaching $1.6 Billion by the end of 1999. In 2000, Amazon took a sharp turn for the worse when a quarterly financial loss of $323 Million was reported. A subsequent quarterly loss of $200 Million sent the company share price tumbling by 70%. Losses continued through 2000 with Amazon reporting a massive $1.4 billion loss for the year. Speculation on the street was that Amazon would file for bankruptcy and the company's stock hit an all time low. In 2001, a major cost cutting and restructuring effort restored profitability to the firm and Amazon has not looked back since. While Amazon has not been a consistently profitable company, the company has had an unprecedented impact on the retail industry in large part due to its visionary leadership and continuous investments into the company's sophisticated supply chain. In 1997, Amazon launched its distribution network with two fulfillment centers in Seattle and Delaware. The original 93,000-square-foot Seattle facility was largely manual and now seems tiny relative to most of the new fulfillment centers being built today. The 202,000-square-foot facility in New Castle, Delaware was undoubtedly a brave gamble back in November 1997. In 1999, Amazon expanded by adding fulfillment centers in: Fernley, NV; Coffeyville, KS; McDonough, GA (later closed in 2001); Campbellsville, KY; and Lexington, KY. At the same time, Amazon expanded into Europe with fulfillment centers in Regensburg, Germany; Bad Hersfeld, Germany; and Marston Gate, UK. Things then went relatively quiet on the expansion front until 2005 and since then Amazon's fulfillment network has been growing at an incredible pace around the world. Currently Amazon operates a variety of different types of fulfillment and distribution centers in the United States including small sortable, large sortable, large non-sortable, specialty apparel and footwear, specialty small parts, returns processing centers, and 3PL outsourced facilities. A detailed listing of all existing and known new Amazon Fulfillment and Distribution Centers appears in the table below. All figures provided are estimates based on our research. Please note that the square footage figures below exclude mezzanine areas. Amazon currently operates a network of ambient and cold storage grocery distribution centers across the United States service Amazon Pantry and Amazon.Fresh customers orders. This distribution network is unfolding slowly and the list of facilities below is likely incomplete. Some of the Amazon food-related facilities are shared with other operations such as the sortation center facilities. The buildings listed below are used in part or in whole for Amazon.Fresh or Pantry operations. Amazon acquired Whole Foods in August, 2017 and by extension took ownership of the Whole Foods retail grocery distribution network. The existing Whole Foods distribution network is largely focused on Perishables merchandise for its retail stores in each major market region being serviced as documented below. In late 2014, Amazon launched a rapid build-out of a distribution network consisting of smaller footprint urban distribution buildings positioned close to the centers of large metropolitan cities across the country. Amazon’s Prime Now Hubs are typically stocked with the highest velocity items that are popular such as bottled water. These facilities only stock a limited line of products (e.g. 15,000 different items) to enable Amazon Prime Now members to place orders for this merchandise and receive rapid delivery in as little as 60 minutes from the time of order placement. It is highly likely that this build-out will continue into the future as these buildings are the equivalent of retail stores for Amazon. Note that in the table below, if the square footage of the facility is set to zero then the operation is co-located in another building therefore we do not double-count the square footage. The data concerning the Amazon Prime network is challenging to track and this is the best information that is currently available. Formerly referred to as redistribution centers, the inbound cross dock network has been developed by Amazon to streamline the flow of goods into the fulfillment center network. These facilities are similar to import distribution centers in that they are used as inventory receiving, break bulk and storage buffers for overseas import containers incoming from foreign vendors. After the goods have arrived at the ports, they are received into the IXD facility and held until such time that the fulfillment center needs to be replenished with inventory. Merchandise is aggregated into truckloads and then transported to the fulfillment center. These facilities are located near major ports to minimize inbound ground transportation expense from the port to the IXD facility. These facilities may also be used to store and replenish domestic goods. Amazon currently operates a network of regional sortation centers across the United States to increase control over the outbound transportation of packages within its own distribution network (for more detailed information about Amazon’s sortation network click here). These buildings are key enablers to shifting shipping volume away from UPS and FedEx so that packages can be delivered by USPS, local couriers and independent Amazon Flex drivers. The purpose of these facilities is to sort packages by zip code to pallets that are then delivered to the post office responsible for each zip code for smaller packages. From there USPS performs the last mile delivery to the customer. Sortation centers also ship packages to Amazon’s extensive delivery station network which represent the final node in the Amazon distribution network. This system was introduced to the U.S. in 2014 and has been instrumental in Amazon taking greater control over its outbound shipping costs. Sortation centers are typically, but not always, standalone buildings within the Amazon Network. Sortation centers can handle packages for a regional area on behalf of one or more fulfillment centers. Amazon is also building out a set of cargo handling facilities at smaller airports to enable connectivity between their future Air Hub Sortation Center in Hebron, KY and major cities where fulfillment centers are positioned. We call these air sortation hubs which are smaller buildings positioned right next to airport runways for the purpose of handing off (and receiving) packages being shipped by airplane to the Hebron Air Hub. 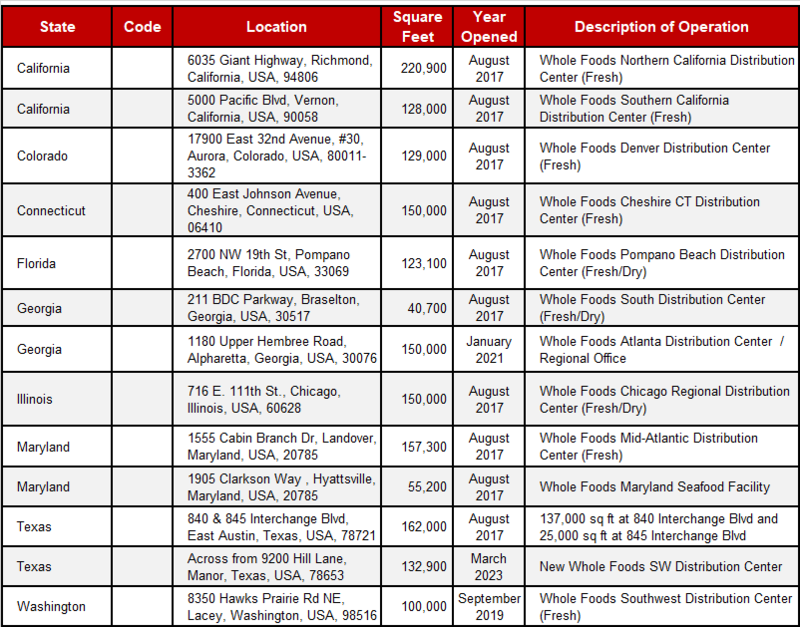 A detailed listing of all Amazon Sortation Centers appears in the table below. In late 2013, Amazon launched a build-out of its delivery station distribution network consisting of smaller facilities that are typically in the 60,000 to 100,000 sq. ft. range. These buildings are typically positioned within larger metropolitan cities across the country and quite often they are positioned near airports. The delivery station’s primary role is to sort packages for outbound routes to enable last mile delivery to customers within a tightly defined urban area. Often deliveries are performed by multiple local courier companies that are contracted by Amazon to service specific routes and also by independent Amazon Flex drivers. These deliveries may consist of multi-temperature fresh food totes being delivered on a same day basis to markets where Amazon Fresh is up and running. Note that in the table below, if the square footage of the facility is set to zero then the operation is co-located in another building therefore we do not double-count the square footage. The data concerning this network is challenging to track so we provide the best information available within the table below. Small Sortable fulfillment centers generally house smaller items that can all fit in one box/shipment (e.g. books, DVDs, watches, etc.). These products are best described as being less than 18” and can be placed into a conveyable tote. Non-sortable fulfillment centers generally house items (usually because of size) that can not be sorted into a box with other items. These are items that cannot be placed onto a conveyor belt for automated sortation. 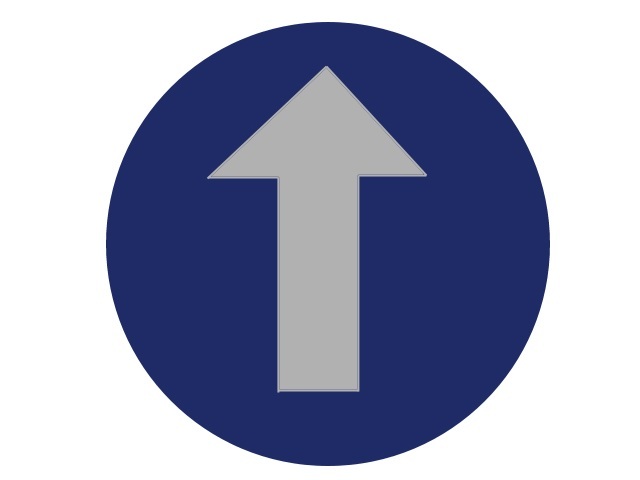 Inbound Cross Dock (IXD) centers receive and consolidate products from vendors and then ship these products to other fulfillment centers within the Amazon network. Customer returns centers process all Amazon customer returns. Specialty sites fulfill specialty items sold by Amazon such as text books, jewelry, clothing and shoes. Amazon Fresh facilities service Perishables and Frozen merchandise. Amazon Pantry facilities service Dry Grocery merchandise. Regional Sortation centers are generally used to sort packages for a geographical region whereby the packages have originated from one or more fulfillment centers within the Amazon network. Sortation centers sort packages by zip code and then send smaller packages to USPS for low cost delivery; or packages are shipped to delivery stations which handle the last mile delivery through the use of local couriers. Delivery Stations are mid-sized facilities typically between 60 - 100,000 sq. ft. Delivery Stations represent the last leg of the delivery network. Customer packages travel from the Fulfillment Centers to the regional Sort Centers and finally end up at the local Delivery Station where all packages are sorted by zip code and then dispatched directly to the customer via delivery service providers (couriers). Prime Now Hubs are smaller facilities that stock a limited line of products that are in high demand such that customer orders in high population metropolitan cities can be delivered within 1 - 2 hours of order placement. Phoenix, Arizona (PHX1): This was a non-sortable fulfillment center that was across the street from PHX7. It was closed and consolidated into PHX7. New Castle, Delaware (PHL3): This facility was an off-site replenishment warehouse for PHL1 and a seasonal sortable fulfillment center. Fort Lauderdale, Florida (FLL1): Originally this was a small parts fulfillment center. Not much is known of this facility. McDonough, Georgia (ATL1). Originally opened as the company's 5th fulfillment center in October, 1999. This 800,000 sq. ft. fulfillment center employed 450 associates and was closed in 2001 after business slumped and cutbacks were necessary. Munster, Indiana (MDW1): Originally opened in October, 2007, this 75,000 sq. ft. fulfillment center was closed in March, 2009 as part of the closure of 3 facilities. Coffeyville, Kansas (TUL1): 915,000 sq. ft. small sortable fulfillment center was opened in April 1999 and closed in Feb. 2015 as Amazon realigned its distribution network to be closer to larger metropolitan cities. The original strategy that pushed the company into the rural areas of America was based on avoiding the need to charge consumers with sales tax. Since this competitive advantage is coming to a close, the company has moved its fulfillment centers closer to concentrated points of demand to reduce its outbound transportation expense. Shepherdsville, Kentucky (SDF7): 281,000 sq. ft. specialty apparel / footwear facility was decommissioned in 2017. Red Rock, Nevada (RNO2): Originally opened in January, 1999. This 322,560 sq. ft. fulfillment center was closed in March, 2009 as part of the closure of 3 fulfillment centers when the company transferred volumes to other facilities to streamline operations. Fernley, Nevada (RNO1): 786,000 sq. ft. fulfillment center was opened in January, 1999 and was closed in early 2015. This facility has been relocated to a newer 634,000 sq. ft. facility in Reno, Nevada. Nashua, New Hapshire (BOS1): A 63,750 sq. ft. jewelry fulfillment center was converted into a delivery station for New England in the summer of 2018. Grand Forks, North Dakota (GFK1): This 130,000 sq. ft. power tools fulfillment center (ToolCrib of the North) was originally opened in 1999 when Amazon bought the catalog division of Acme Electric, a local hardware store. Amazon closed the fulfillment center in March, 2005 eliminating 50 jobs, but the company converted the operation into a call center which in turn created 60 jobs. Chambersburg, Pennsylvania (PHL2): This 420,000 sq. ft. non-sortable fulfillment center was closed in March, 2009 as part of the closure of 3 facilities when the company transferred volumes to other fulfillment centers to streamline operations. Allentown, Pennsylvania (ABE1): Not much is known of this small sortable fulfillment center which was a forward deployment fulfillment center (FDFC). Pittston, Pennsylvania (AVP6): This 437,446 sq. ft. Supplemental Fulfillment Center was closed in July ,2016 and replaced with AVP8 which opened in Pittston, PA in August, 2016. Lebanon, Tennessee (BNA1): A 449,000 sq. ft. fulfillment center for large non-sortables was opened in September, 2011 with an estimated staff of 650 associates. We believe that this facility was consolidated into BNA2. Irving, Texas (DFW1): Originally opened in 2005, this 493,290 sq. ft. facility was closed in April, 2011 after a tax fight with the state of Texas. The Texas comptroller's office sent Amazon a demand for $269 million in uncollected sales taxes, plus penalties and interest from 2005 through 2009. The state contended that Amazon was responsible for sales taxes not collected for on-line sales made in Texas because its fulfillment center was in Irving. Amazon closed the facility and 119 jobs were lost as a result. Fort Worth (DFW2): Not much is known of this small sortable fulfillment center which was a forward deployment fulfillment center (FDFC). Seattle, Washington (SEA1): Restructuring plans in 2001 led to this 93,000 sq. ft. fulfillment center to be converted to a seasonal facility. Seattle, Washington (SEA6/SEA8): 313,300 sq. ft. food distribution centers were located in Bellevue. Sea6 was Pantry and Sea8 was Fresh. These facilities opened in August, 2007 and closed in 2017. They were replaced by BFI7 and BFI6 respectively in 2017. Amazon's fulfillment network strategy is interesting because it does not necessarily reflect an optimized distribution network in terms of serving the U.S. population from the geographical locations that are closest to the markets served. Until 2013, fulfillment center locations in the U.S. were determined based on state tax considerations. Sales taxation laws vary from state to state within the country and since we are not experts on this topic, we thought it best to click here for more information on this topic. In short, Amazon sells most of its merchandise through fulfillment centers which are not technically classified as retail stores. As such, the company is technically within the letter of the law to not charge sales tax to consumers with the exception of five states. Over time, this has provided Amazon with a significant competitive advantage over conventional retailers that have retail stores since these companies must charge state taxes at the time of purchase (States lose an estimated $23 billion a year in uncollected sales taxes from web retailers). Currently 28 states have introduced Internet sales tax legislation that is already on the books with more states expected to follow shortly. In the years leading up to 2013, Amazon invested significant capital into facilities in Arizona, Tennessee, Pennsylvania, Kentucky, Indiana, Delaware, South Carolina and Virginia - all states that made tax collection deals with Amazon in exchange for agreements to guaranteed job creation targets over time. Ultimately, Amazon stopped fighting the sales tax war as it was inevitable that its competitive tax advantage was not going to last forever. Today, Amazon collects taxes from Texas, California, New York and Florida and this will eventually apply to most states across the country. After all of the tax deals go into effect, Amazon will essentially be collecting sales taxes from the majority of American consumers. Amazon's tax capitulation is directly related to a major shift in the company logistics strategy. Instead of shipping to customers in highly populated urban centers from massive fulfillment centers constructed in faraway low cost states, Amazon has built out a vast distribution network fulfillment centers positioned close to large metropolitan cities. The new Amazon distribution strategy calls for the fastest level of order turnaround time (i.e. same day or next day) for all major cities within the United States. The goal is to enable same-day delivery as an option for at least half of its U.S. customers. Since the onset of the e-Commerce era, this goal has been a dream but the high cost of establishing the required distribution infrastructure has been a barrier towards achieving this goal. Amazon is now investing heavily to make fast response a reality and the build-out of the Prime Now Hub network will enable Amazon to service the top cities in America within 1 - 2 hours of order placement. Amazon has also announced a strategy to make a move into the Grocery industry with home delivery service to be established in major metropolitan markets. Amazon Fresh is already established in Seattle, Los Angeles and San Francisco. The company has been rolling out Amazon Fresh and Amazon Pantry to numerous other large metropolitan cities to enable customers to order fresh food and dry grocery merchandise with same day delivery. Lastly, it is important to note that Amazon has now established a U.S. distribution network of sortation centers that will enable the company to increase its control over the last mile delivery to the customer. Parcel shipments from nearby fulfillment centers are transferred to a regional sortation center where they are sorted by zip code and then transferred to neighborhood post offices so that the United States Postal Service can perform the delivery for a lower cost than the national parcel carriers (UPS and FedEx). This strategy enables Amazon to control the delivery process up to the last mile and it is also a key enabler to providing Sunday delivery in conjunction with USPS (this partnership was announced in November, 2013). For a detailed explanation of how the Amazon new sortation network works click here. Figure 1: Existing and Projected New Amazon Small Sortable Fulfillment Centers in the United States of America. Figure 2: Existing and Projected New Amazon Large Non-Sortable Fulfillment Centers in the United States of America. Figure 3: Existing and Projected New Amazon Specialty Fulfillment Centers in the United States of America. Figure 4: Existing Amazon Food Fulfillment Centers and Whole Foods distribution centers in the United States of America. Figure 5: Existing Amazon Prime Now Hubs in the United States of America. Figure 6: Existing and Projected New Amazon Inbound Cross Dock Facilities in the United States of America. 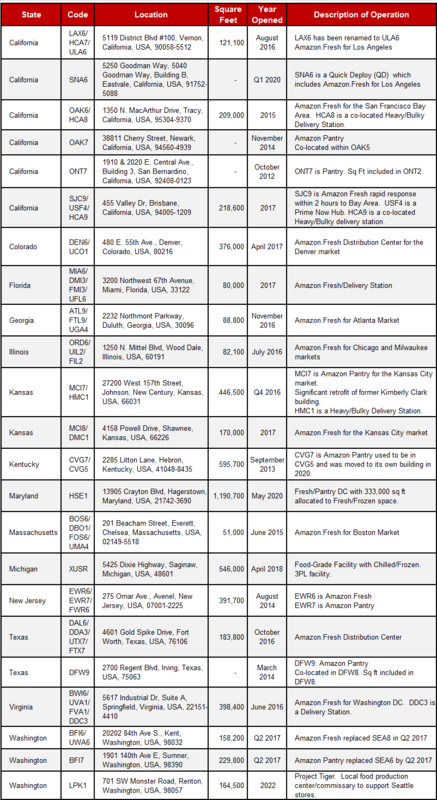 Figure 7: Existing and Projected New Amazon Outbound Sortation Centers in the United States of America. Figure 8: Existing and Projected New Amazon Delivery Stations in the United States of America. Currently, Amazon operates fulfillment centers outside of the United States in Canada, Mexico, Brazil, the United Kingdom, France, Germany, Italy, Spain, Poland, Czech Republic, China, Japan, India and Australia. A detailed listing of existing and projected fulfillment centers appears in the table below. Most countries use a value added taxation (VAT) system to collect retail sales tax up front at the time of purchase hence the taxation issue does not impact Amazon's fulfillment network outside of the United States. Please note that the square footage figures below exclude mezzanine areas in most cases unless otherwise stated. Amazon has launched its first network of delivery stations in the UK since 2013 and the success of this program ultimately led to the expansion of the concept into the United States. In Europe, India, Japan and Singapore, the emergence of smaller delivery stations and Prime Now Hubs is enabling rapid regional delivery capability. The company currently operates over 60 Prime Now Hubs, Delivery Stations and Sortation Centers in the rest of the world. Our list of these facilities is undoubtedly incomplete but the information that is currently available. Figure 9: Existing and Projected New Amazon Fulfillment Centers in Canada. Figure 10: Existing and Projected New Amazon Fulfillment Centers in Mexico. Figure 11: Existing and Projected New Amazon Fulfillment Centers in Brazil. Figure 12: Existing and Projected New Amazon Fulfillment Centers in the United Kingdom. Figure 13: Existing and Projected New Amazon Delivery Stations and Prime Now Hubs in the United Kingdom. Figure 14: Existing and Projected New Amazon Fulfillment Centers and Prime Now Hubs in France. Figure 15: Existing and Projected New Amazon Fulfillment Centers, Sortation Centers and Prime Now Hubs in Germany. Figure 16: Existing and Projected New Amazon Fulfillment Centers, Sortation Centers and Prime Now Hubs in Italy. Figure 17: Existing and Projected New Amazon Fulfillment Centers and Prime Now Hubs in Spain. Figure 18: Existing and Projected New Amazon Fulfillment Centers and Returns Centers in Eastern Europe. Figure 19: Existing and Projected New Amazon Fulfillment Centers in India. Figure 20: Existing and Projected New Amazon Fulfillment Centers in China. Figure 21: Existing and Projected New Amazon Fulfillment Centers in Japan. Figure 22: Existing and Projected New Amazon Prime Now Hubs in Singapore. Figure 23: Existing and Projected New Amazon Fulfillment Centers in Australia. Bankhead Park, Glenrothes, Fife, United Kingdom (EDI2): A non-sortable fulfillment center and returns processing center that was closed sometime around 2016. Boigny-sur-Bionne, Loiret, Orléans-Boigny, France (CDG2 and offiste CDG3): 182,920 sq. ft. large non-sortable fulfillment center was opened in August, 2000 and closed in November 2007. Replaced by ORY1. Castel San Giovanni, Piacenza, Italy (MXP1): 323,000 sq. ft. fulfillment center that opened in April 2011 and closed in May 2014 when it was replaced by the opening of MXP5 also in Castel San Giovanni. Guangzhou, China (CAN1): 118,360 sq. ft. facility opened in May, 2007 was located in the Huangpu District district of Guangzhou, Guangdong. Chengdu, China (CTU1): 193,680 sq. ft. facility opened in November, 2009 in the ProLogis Industrial Park in the Chengdu Hi-Tech Zone in Sichuan province. Beijing, China (PEK5): 322,800 sq. ft. non-sortable fulfillment center opened in 2010 in Tongzhou. Suzhou, China (SHA1): 118,360 sq. ft. facility opened in November, 2006 in the GLP Park Suzhou Industrial Park in Jiangsu province. Iwanuma City, Miyagi, Japan: Originally planned for April, 2011, the plans for this fulfillment center were canceled after the tragic earthquake and subsequent tsunami hit the region on March 11, 2011. Marc Wulfraat is the President of MWPVL International Inc. He can be reached by clicking here. MWPVL International provides supply chain / logistics network strategy consulting services. Our services include: distribution network strategy; distribution center design; material handling and automation design; supply chain technology consulting; product sourcing; 3PL Outsourcing; and purchasing; transportation consulting; and operational assessments. Legal disclosure: MWPVL International Inc. does not represent or have a business relationship with Amazon. This is a research paper for supply chain educational purposes. The information assembled in this research paper is intended to provide the audience with intelligence on the subject of world class strategies for distribution networks. In preparing this material, MWPVL International Inc. has not disclosed any private or confidential company information. MWPVL International Inc. has made every effort to ensure that the information contained within this white paper is as accurate and as up to date as possible. However, it is important to note that distribution networks change over time and for this reason there is a possibility that information contained within this paper may be out of date or inaccurate. If you wish to submit any information to improve the quality of this white paper, please be sure to send us some feedback.